In my former life, I used to work in the children’s room at a local public library. 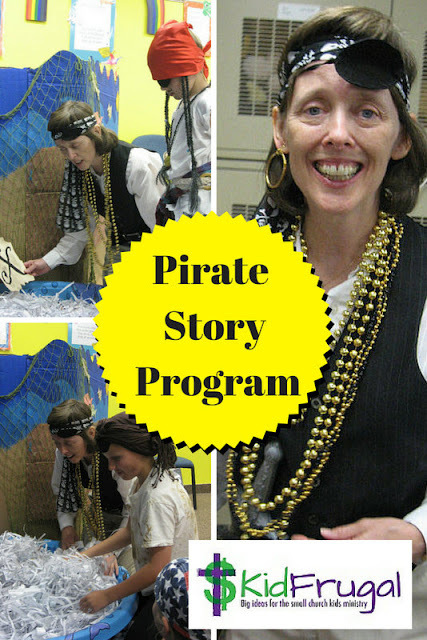 One of my jobs included being in charge of the story programs for school-age children. 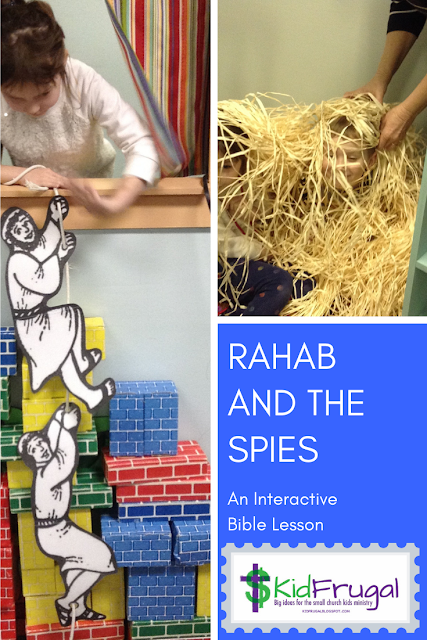 I often used ideas I would have used in a church program to transition into a book. Here is one of my favorite story time programs that I did: Dress Like a Pirate Day. dress like a pirate. The costumes kids came up with were amazing. Some took old t-shirts and cut them up to look like they had been shipwrecked. Boys drew scars on their faces with their mom’s eyebrow pencils. Kids had eye patches, Jack Sparrow braids, bandanas and even some store-bought pirate hats. All of my books were about pirates. I practiced reading them for two weeks to get a pirate’s accent. My husband told me I sounded like a pirate with an Irish brogue. It was the best I could get. For this program, we hunted for clues in the treasure pool. X marked the spot (sort of). I had a kiddie pool filled with shredded paper. You could also use packing peanuts. I had 4 objects for each story that I read. Usually they had to do with the story, but sometimes I threw something in just to be funny. Before each story, a school-aged helper (who was hidden behind a screen) hid the clues in the paper. Using clues to introduce a story is a great transition tool. When we did the book of Acts a few years ago, I had 8 paper bags, each with a different clue in it. The clues were about all of the stories we were going to hear/learn about in the book. There was a boat (Paul’s shipwreck), a flashlight (Paul’s conversion), a map (Paul’s travels), some shells (Lydia, seller of purple-cloth dyed purple from shells), a stone (Paul was stoned) and so on. Each child got to choose a bag, open it when it was their turn, and see what was inside. Then I told them a little bit about the story that went with the object. It was a fun way to get the big picture of Acts. Want to have a pirate outreach party? For your Bible story/salvation message – you could talk about the greatest treasure there is in the world; Jesus and his gift of salvation to us. Or you could use the parable of the pearl of great price. Talk about how pirates search for treasure, but you know an even better treasure. Check out my Pinterest board of pirate party ideas to round out your event. Click here. 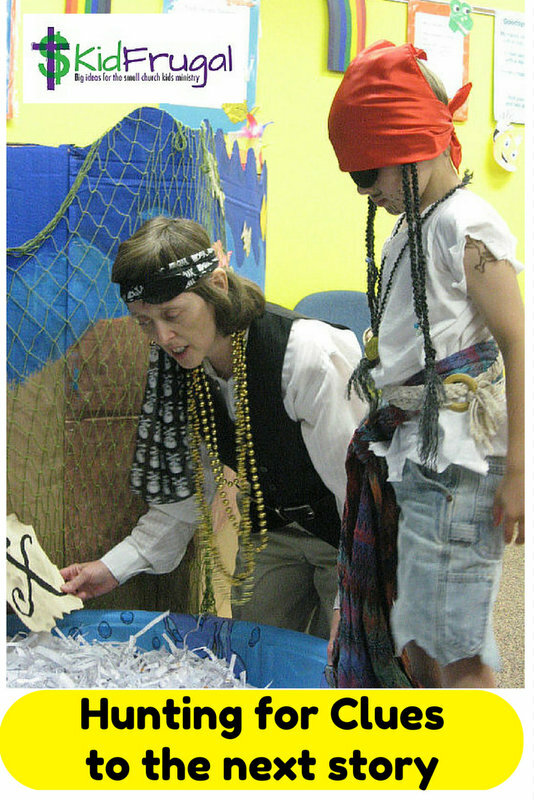 Books I used for this program were: Edward and the Pirates by David McPhail, Pirate Pete's Talk Like a Pirate by Kim Kennedy, and Pirates Don't Change Diapers by David Shannon.